It’s been 9 years, give or take, since the release of The Secret—the popular film and book. 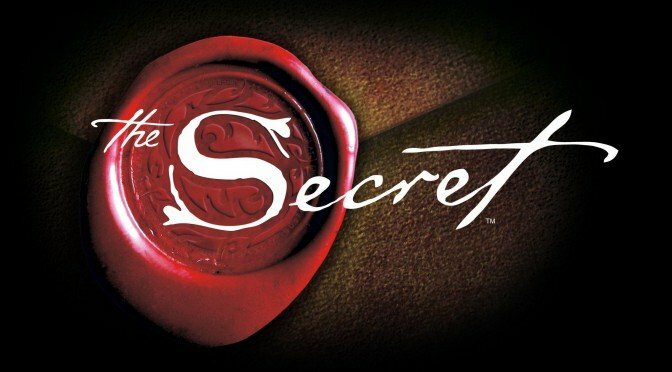 Produced by Rhonda Byrne, an Australian television writer and producer, The Secret was hugely successful with DVD sales reaching higher than 2 million within the first year of its release and book sales reaching higher than 4 million within 6 months of publication. In 2007, this success earned Rhonda Byrne a spot on Time Magazine’s Time 100, a list of the 100 most influential people in the world. Here in East Africa, the phenomenon that was The Secret was not lost on us. Bookstores across the region (at least in Kenya, Tanzania, and Uganda) brandished huge displays advertising the book, and within 7 months of the film’s release, I (living in Nairobi at the time) was able to get a copy of The Secret’s first edition. Chances are that many of you, my readers, have already either watched or read The Secret. Today, I would like to share a bit about The Secret with those of you who haven’t, while engaging those of you who have in a discussion as to whether “the secret” contained in The Secret really is the secret to successful, joyful living. The film, which was released before the book, is a documentary-style movie consisting of interviews with authors, philosophers, and scientists about the secret to prosperity, health, relationships and happiness. The book, containing the same material as the film, was published 7 months later, with both the book and the DVD version reaching the top of the bestseller lists. What was the secret espoused in The Secret? Sorry, I am not going to be a spoiler. To find that out, you’ll have to read or watch The Secret yourself. For a sneak peek into The Secret, though, you can find out more on the movie’s official website. Personally, I enjoyed the first edition of the movie very much (the one that included Esther Hicks, who was subsequently edited out of later versions). I haven’t read the book yet. The film was fast-paced, visually captivating, and chock full of fascinating concepts. It did not slow down for a second! After watching the movie many times (understatement! ), I have since incorporated a number of The Secret’s teachings into my daily life. For example, now I “want what I really want” and don’t temper my desires by whether or not I think I can have whatever it is that I want. Also, I’ve learned to take keen note of what my emotional guidance system tells me, staying away from places, people, or things that incite negative emotions in me and moving towards those that elicit positive ones. Eight years after first learning about “the secret”, I can attest that I am now a more peaceful, positive, happy human being than ever before (and finally, I now understand what my Aunt meant when she once told me that I was uncomfortable with happiness and could never just let good things flow to me. D. T. O., thanks for sharing that insight! 😉 ). Still, I am not sure whether or not “the secret” espoused in The Secret is truly the secret to successful living. One major issue that I have with The Secret comes from past experience. In my own life, I have experienced first-hand the benefit of negative emotion. There’s nothing quite like being sick-and-tired of a situation to propel me to do something about it. Also, I’ve experienced that a little bit of worry and anxiety helps me get stuff done. Sometimes, I wonder: if I constantly stop myself from experiencing negative emotion, then might I not just become complacent and lose a great energy source that I have used in the past to create positive change? That’s just one conflict that I have with the material presented in The Secret. The other has to do with how God fits into the whole The Secret paradigm. I believe in God and my relationship with him/her is an active part of my life. Sometimes, I feel that The Secret leaves God out of the equation, which is something that I cannot reconcile myself to. And now, I’d like to hear your views: What do you think of The Secret? Is “the secret” espoused in The Secret the secret to life? If you haven’t read or watched The Secret yet, then I am sure you can find the book at a bookstore near you. Then, let me know what you think when you do. I am glad you found this post interesting. No further views to share? Welcome to ChickAboutTown, and thanks for the feedback! But to respond to the issue of God in ‘The Secret’ – I don’t know that they leave God out as such – I think it depends on what you perceive God to be: creator? provider? the source of peace? one with one’s spirit? God is, in my opinion, a very personal experience, and that experience and the extent of revelation is as varied as there are people. how the secret has impacted their lives. Thanks for your feedback, Nash. I definitely need to read the book then! Please read my new blog. I would love to hear what you think. I have never seen the movie, only read the book! It is my opinion that just like the laws of cleanliness in the Old Testament work, whether you believe in them, whether you are Hebrew; the Law of Attraction, the Law of Reciprocity in the New Testament work whether you believe in them or if you are a Christian or not. I maybe wrong, but this is my belief. I did read your blog post on The Secret and the similarities of its teachings to those in the Bible. Very interesting post! Thanks for your feedback! Rhonda and her co-Authors knew how important yet sensitive the information was. They also realized that a natural law is a universal law -it applied to every sentient being regardless of religion, government, philosophy or tradition. It would be like trying to explain gravity while asserting references to god. Same challenge. God isn’t excluded in anything. God is everything. So it won’t take you long to deduce the correlation. I look forward to more of this topic on your blog. Welcome to Chick About Town and thank you for your comment. That comparison to gravity and referring to God makes a lot of sense. Thanks for making me look at it in another way. Are you a big believer in the Law of Attraction?